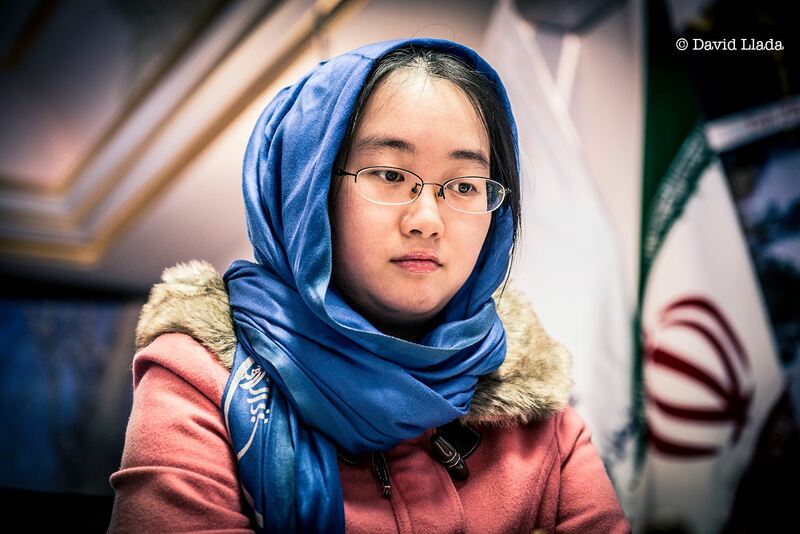 Tan Zhongyi became the new Women's World Champion after defeating Anna Muzychuk in tiebreaks. The 25-year-old has kept the title in China, after showing good technique and an astounding competitive spirit. Tan Zhongyi played no less than 34 games, and overcame a number of highly tense encounters. The new Women's World Chess Champion | photo: David Llada. After a draw in Game 4, the Women's World Chess Championship final — just like the World Championship in New York — was decided in tiebreaks. A priori, Anna Muzychuk was the favorite given the fact that she obtained an impressive double gold in last year's Rapid and Blitz World Championships in Qatar. The Ukrainian had White in the first 25-minute game. The Chinese used the Petroff Defense and, curiously, until move 14 followed a game played by Anna Muzychuk against her sister. That game ended in a peaceful draw in a little over 30 moves, but this one would be different! Against her sister Mariya, Anna chose the quiet 14.Qc3, with the idea of exchanging queens after Qb3. 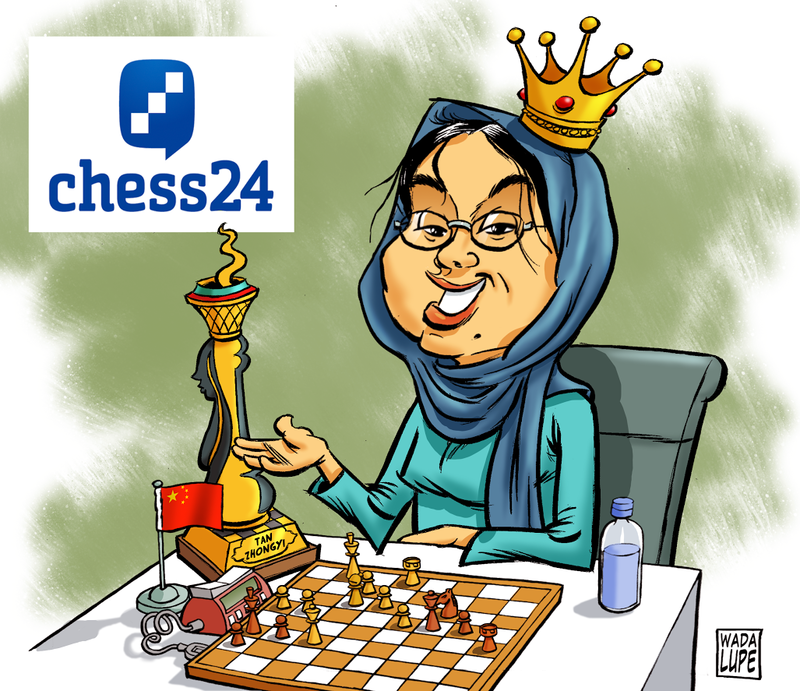 In Tehran, however, she showed her great preparation and improved with 14.f3!, followed by an increase on Black's center with Qe2, Bd2-c3. White got a better position, and after centralizing her queen, we arrived to one of the key positions of the game. The natural 19.g4, avoiding Bf5 and preparing h4-h5, would create a lot of problems on Black's kingside. Probably Tan Zhongyi would eventually find herself forced to play Qc6, exchanging queens but weakening her structure, although Muzychuk always had Qe2 to keep her strongest attacking piece. Black's position would be very hard to defend! However, Anna decided to take on b7, which made the Chinese's task much easier. Nonetheless, White kept some pressure and maintained her advantage, which takes us to the most relevant moment of the game. It's clear who has managed to keep the upper hand — Black is in serious trouble on the queenside! Anna could have played 38.a5 followed by Ra7, and there's no way to save the pawn or find much counterplay with Black. 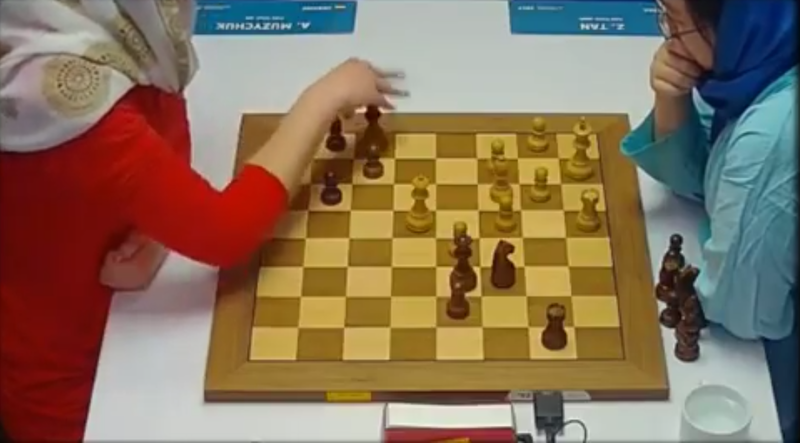 With the clock ticking, though, Muzychuk chose the wrong plan (38.Be3) and gave some tempi to her opponent, who created counterplay on the kingside and managed to draw the game. As a curiosity, it's worth pointing out that 38.Bd4?? would run into a rather artistic mate after 38...Be1#. In the second game, Anna Muzychuk had no trouble to equalize with Black and, despite the fact that White had the bishop pair, her position seemed preferable. Black can play the precise 19...Bxc5! forcing White to take with the pawn and stopping her initiative on the queenside. After this, she could have created problems on the other side of the board with g5-h5, while keeping a strong center with the knights — eventually White could place the queen on e6 and a rook on the d-file. Instead, Anna allowed her opponent to take on e4 with the knight and to advance on the queenside with b5. The position became quite dangerous! After the natural 39...Kg8 the game would go on, as White´s extra pawn might not be so important if Tan Zhongyi doesn't find a way to stop the very dangerous passed b-pawn. Despite the fact that the cold-blooded computer evaluates the position as favorable for White, there was still a lot of action on the board, with all three results possible. Muzychuk might have thought that White's d-pawn could become a queen and, to avoid a hypothetical check with d8Q+, she made the biggest mistake of the event: 39...Kh6?? The king is too exposed and the Chinese took her chance immediately with 40.g4!, threatening g5 and winning the game. It was an unexpected ending, which gave Tan Zhongyi the World Championship crown! So the Women's World Championship is over. The event was marked by a controversial start, when a lot of players decided not to participate due to political reasons — Hou Yifan did not participate for other reasons. These absences lowered the popularity of the event in comparison to previous editions. However, we cannot but congratulate Tan Zhongyi, who showed nerves of steel to become the new Women's World Champion!